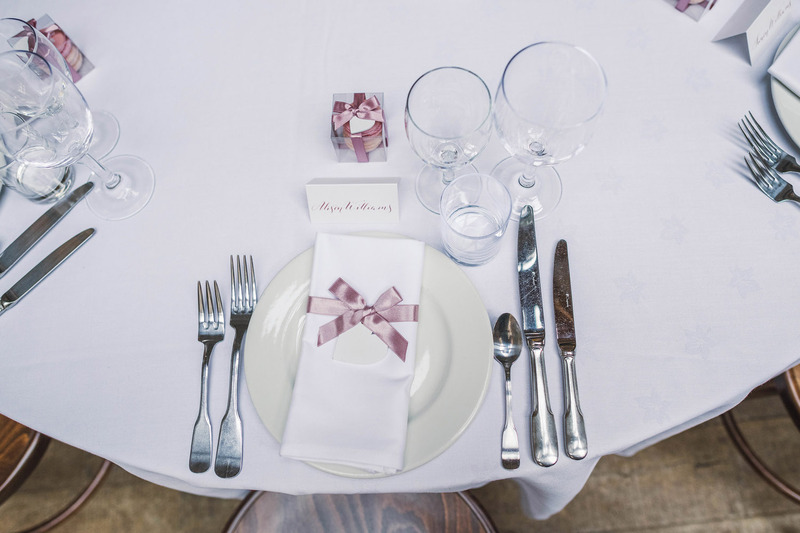 I really do get to work with the loveliest people! 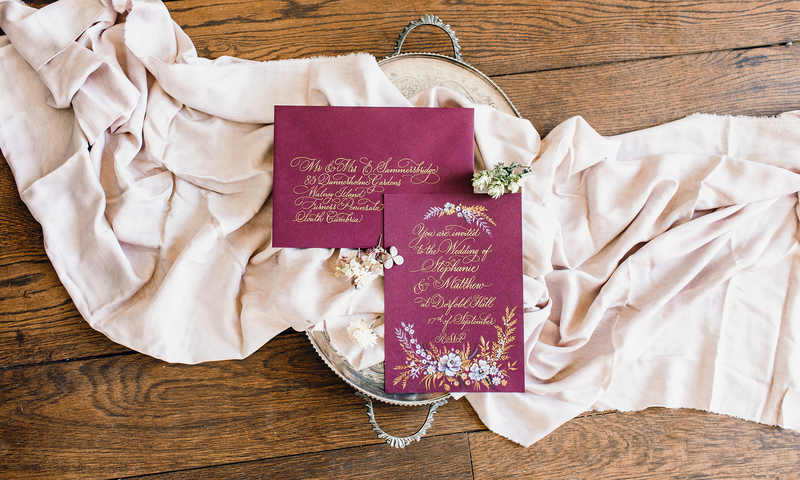 From the moment Emma emailed about her wedding invitations, every correspondence was a pleasure. 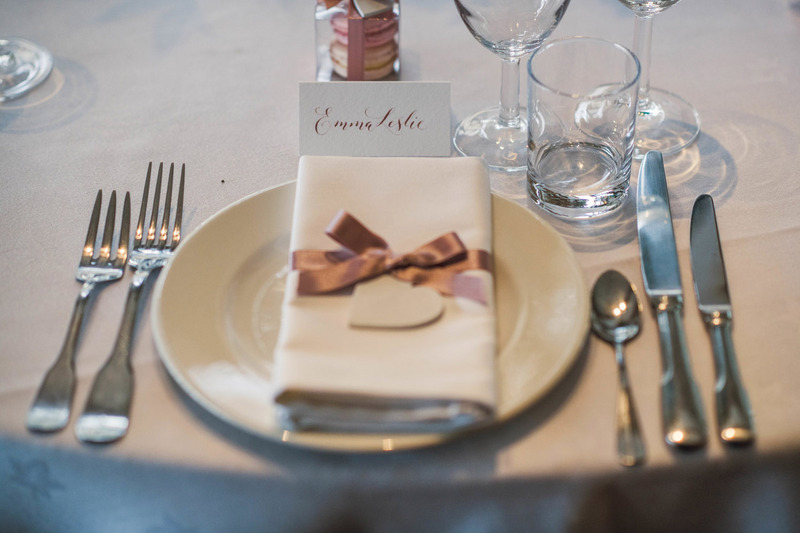 Emma and Duncan’s day was classic, beautifully styled and in a timeless colour palette. 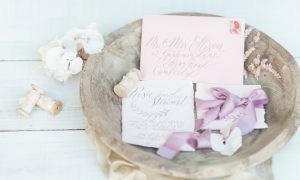 I wrote hand calligraphy in a dusky pink ink, on luxury stationery with a slight texture. 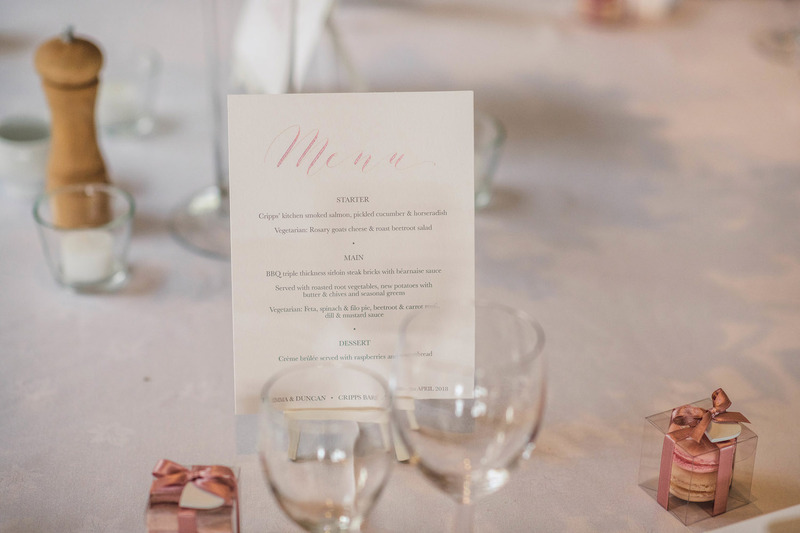 Printing was in a soft dove grey. 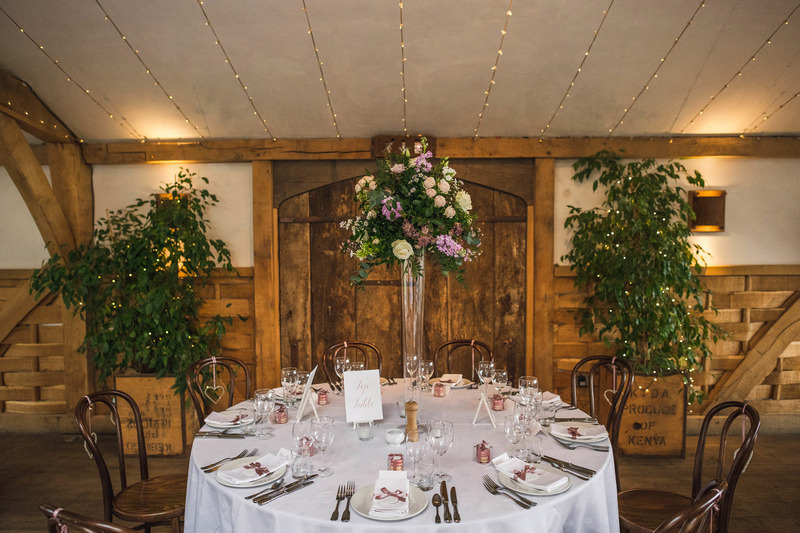 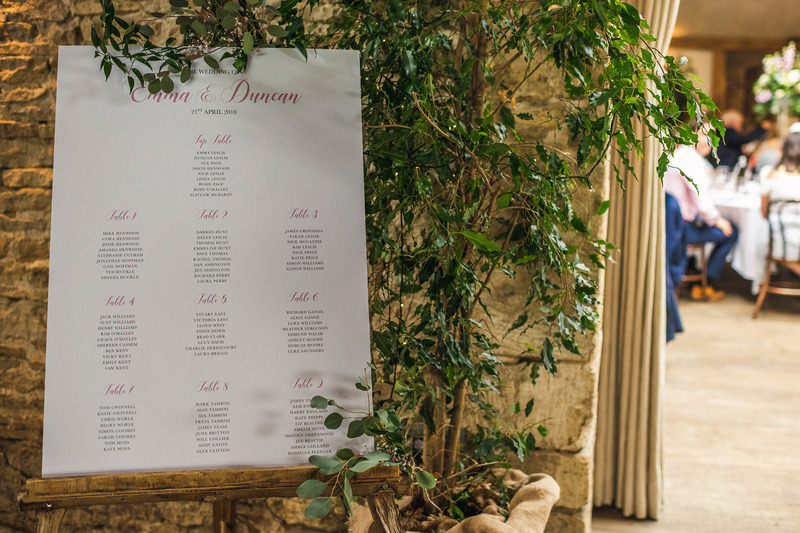 Emma and Duncan ordered invitations from me at first, then for their reception at Cripps Barn went on to have a table plan, place names and wedding menus for all of their tables. 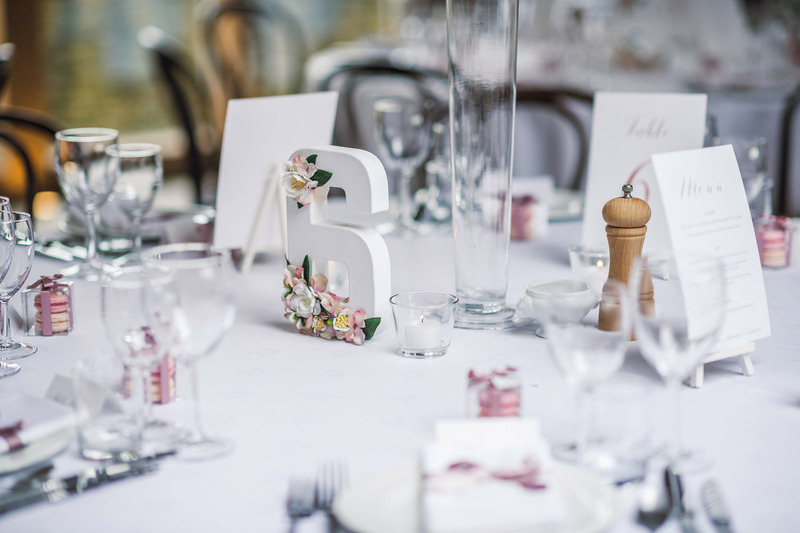 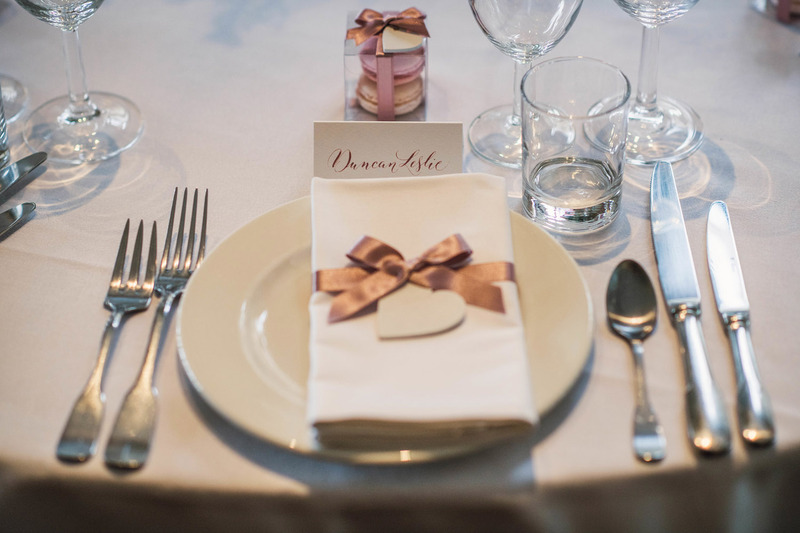 They styled tables with macaron favours, gorgeous table numbers and white linens with a dusky pink ribbon. 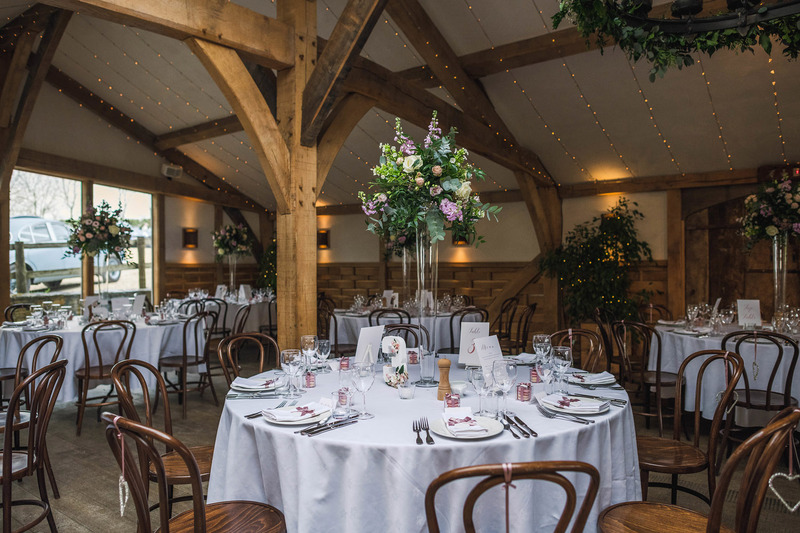 Their photographer was Dan Morris, a brilliant Cotswolds wedding photographer. 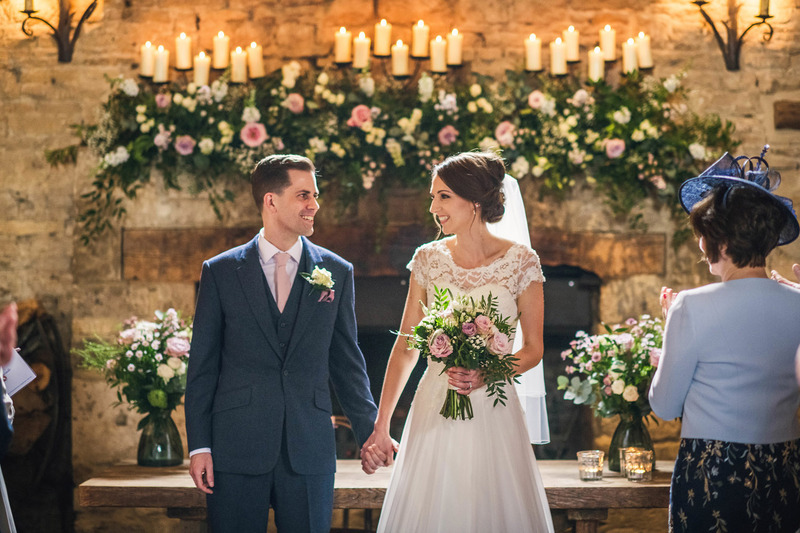 The happy couple looking absolutely gorgeous! 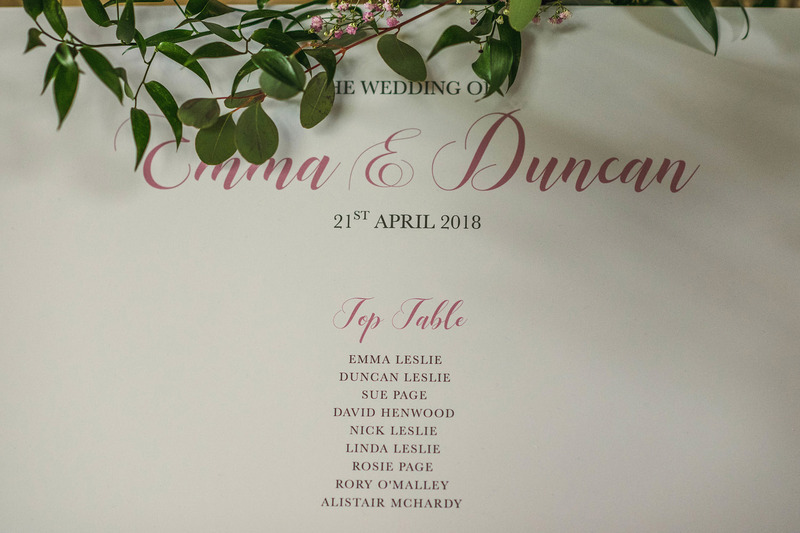 Congratulations, Emma & Duncan!